We are professional packing machine factory and supplier in China.We can produce packing machine according to your requirements.More types of packing machine wanted,please contact us right now! Applicatioin; This silica gel feeder can works with flow wrapping machine to feed silica gel, oxygen absorber, desiccant sachet in roll. Application: Semi-Automatic Shrink Wrappers ( "L" sealers) manually feed items in to the machine to pressure seal a tight film over retail and food products. 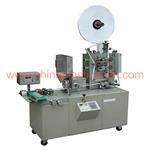 These shink wrapping machines are designed for medium to high volume production. Preferable model for food packaging applications. 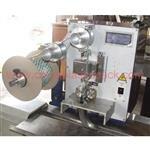 Application: Toothpick packing machine to pack both wooden or bamboo toothpick into 1pc/bag or 2pcs/bag. 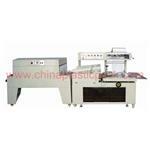 It has the features of high efficiency, feed toothpick uniquely, count and glue automatically with wide range of packing paper ,double side color-printing. Application: Chamber Shrink Wrapping Machines are a particularly cost effective entry level solution to shrink wrapping, combining low cost, convenience, and space saving in a single step operation. 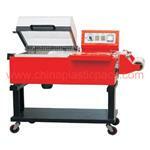 Application: This date coding machine to print MF,EXP.LOT date on plastic . chambers vacuum (aeration) packaging machine, As long as you press the vacuum case's lid, the machine will automatically complete the orderly assumed processes of vacuum extraction or aerate the orderly assumed processes of vacuum extraction or aerate the inner gas,sealing, printing, cooling and aeration. The packed products can be prevented. Automatic printer machine for the impression of all type of dates, lots, codes, by means of transfer of ink for thermal transfer through the roller impregnated in ink that when pressing this with the group of hot impression it transfers to the surface to print, the wanted impression. 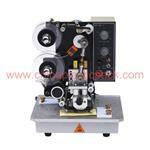 Automatic date Printing Machine to transfer manufacture date,expire date,lot NO.Code on the package or bags. 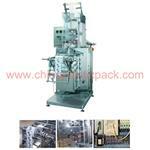 If you didn't find the product information you want above, you can search more Packing Machine information through here. 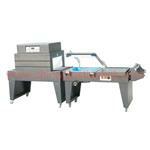 We are dedicated to provide you more Packing Machine Manufacturer. Anyway, thanks again for your kind patronage!